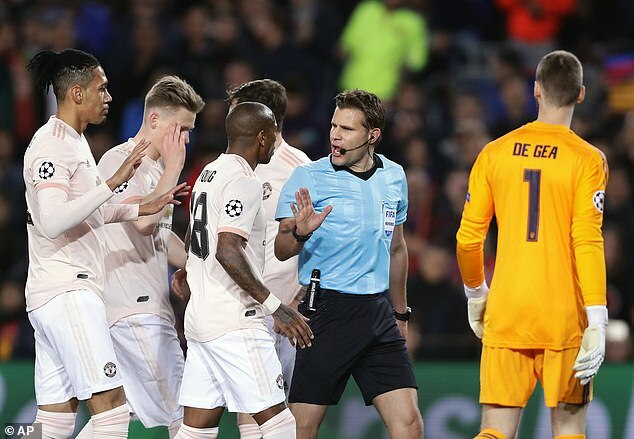 Manchester United were given an early but very brief lifeline in the Nou Camp as a Barcelona penalty was overturned thanks to VAR in the Champions League clash. 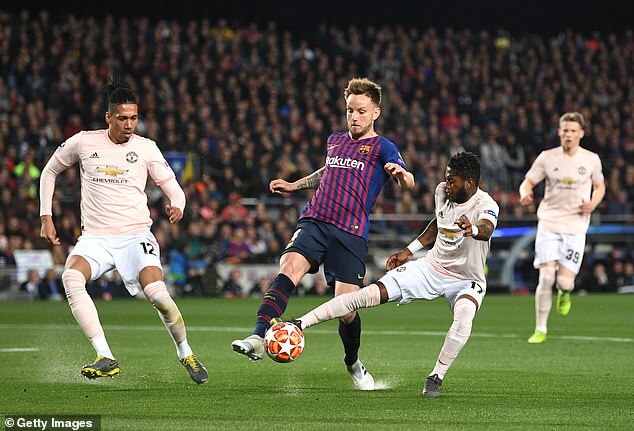 Ivan Rakitic had won a penalty for the hosts in the opening stages following contact from Fred in the United penalty area during the quarter-final second-leg on Tuesday night. 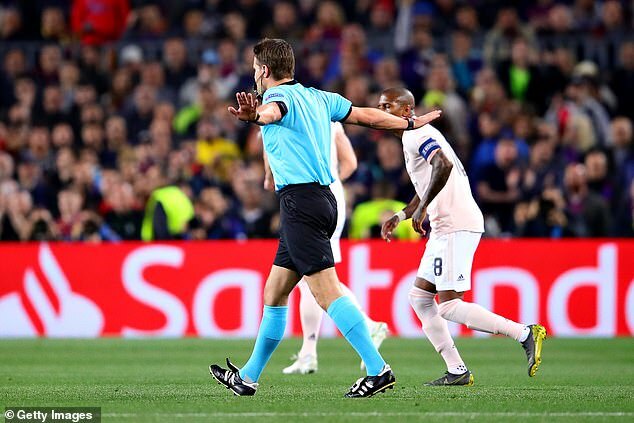 The referee, Felix Brych, initially awarded a spot-kick to the Catalan giants but soon checked VAR to make sure of his decision following pressure from United. However, the penalty was eventually overruled after Brych went over to the video assistant referee – as it showed Fred won the ball before any contact with the Croatian midfielder. But United’s lifeline was very short-lived as Lionel Messi soon put Barcelona in the driving seat thanks a to brilliant left-footed finish into the bottom corner, leaving David de Gea with no chance. 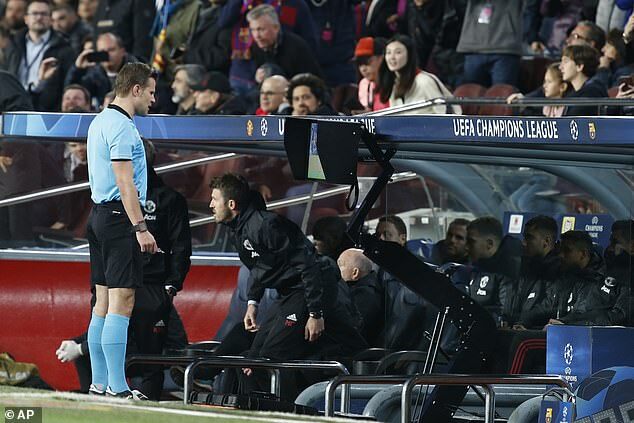 And it soon got much much worse for Ole Gunnar Solskjaer’s side and this time De Gea would have been kicking himself. Messi got the ball onto his weaker right foot this time before curling it straight towards De Gea. 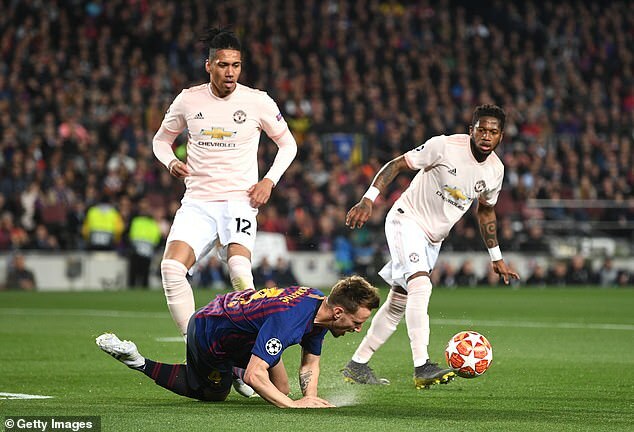 However, the United man fumbled it into his own net to put Barcelona 2-0 up on the night and 3-0 ahead on aggregate after just 20 minutes of the second-leg.